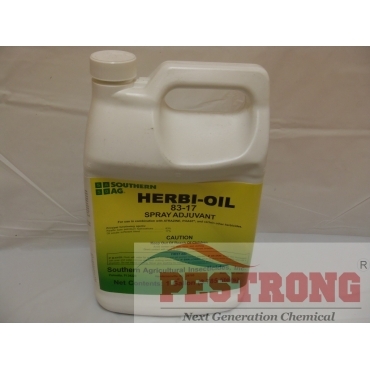 Where to Buy Herbi-Oil, Herbi-Oil 83-17 Surfactant for Herbicide - 1 Gallon - $29.95 for Sale with Fast Free Shipping! Herbi-Oil 83-17 Surfactant for Herbicide - 1 Gallon combines a soluble herbicide oil for penetration & a surfactant for wetting Increase results with 2,4-D Amine, Atrazine, Basagran, brush killers & grass killers. Trimec Bentgrass Broadleaf Herbicide - 2.5..
Criterion 2F Insecticide Merit Imidacloprid..
USE ON: Weeds with herbicide according to the label. Use with herbicides like Vantage Herbicide and Atrazine Herbicide. FOR: Increasing effectiveness of herbicides. RATE: 1% Emulsion or 1+oz. per gallon, 1 pt. (16 oz) in 12+gallons. I always use Herbi-oil when I'm using herbicides. I honestly don't see why I shouldn't use it, when you use expensive chemicals you want them to work their best, and this product make sure that it work the best it could, it definitely deserves 5 stars, very, very awesome product.